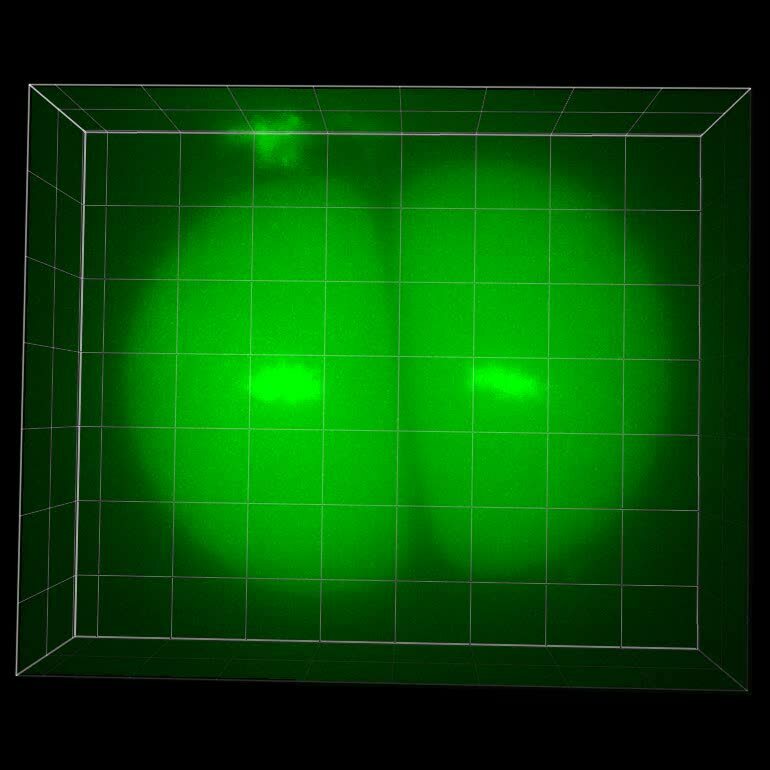 3D volume view of meiosis II cell. A 3D volume view of a metaphase II cell rotates around the y-axis to show the depth of the z-dimension and demonstrate that cells were not compressed between the coverslip and slide. The cell volume is illuminated with SYTO12 (green) and the metaphase II chromosomes (bright green) can be seen aligned in the middle of the cell volume. All movies captured a 20μm z-dimensional cross-section of meiotic cells. The grid scale is 10 μm.